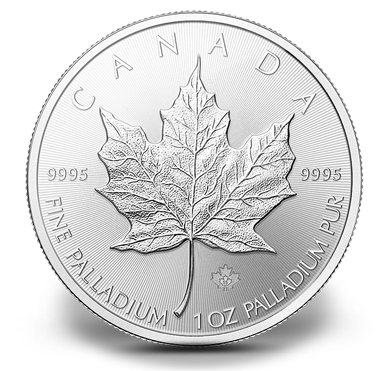 New in 2015, replacing the bullion finish on earlier coins, the radial lines in the new 2015 Palladium Maple Leaf’s field have been precisely machined to within micrometres on the master tooling to ensure reproducibility from die to die and coin to coin. The uniqueness of the line width and pitch gives this coin a characteristic look, and creates a light diffracting pattern that is specific to this coin. Combined with a visual security feature— a textured maple leaf micro engraved with laser technology on a small area of the reverse side, with the numeral “15” denoting the coin’s year of issue—this coin represents the cutting edge in coin security.